South Koreans too need to grow up.. Somewhat like their Chinese neighbors, these days the South Koreans often find themselves in situations to defend themselves or to rectify things when exposed to outside comments. Earlier this year when some British media outlets ran stories which allegedly painted a bleak picture of the South Korean economy many South Koreans were up in arms. Chosun Ilbo, among others called on the South Korean government to issue official statement to repudiate the pessimistic forecast. Then it was the brawls at the SK parliament and the violent labor protests, which embarrassed many South Koreans, so much so that Chosun Ilbo alleged that these things made overseas Koreans ashamed of being Korean. South Korea fought very hard to have international organizations change the label from “Sea of Japan” to “East Sea (of Korea)”. Now they have an ambitious plan to internationalize the Korean cuisine. It’s good to promote Korea, of course. But when you are seen as being too anxious to promote yourself to foreigners it makes you look really insecure. Who cares that Joe Smith doesn’t like Korean food? Who cares? South Koreans too need to grow up. 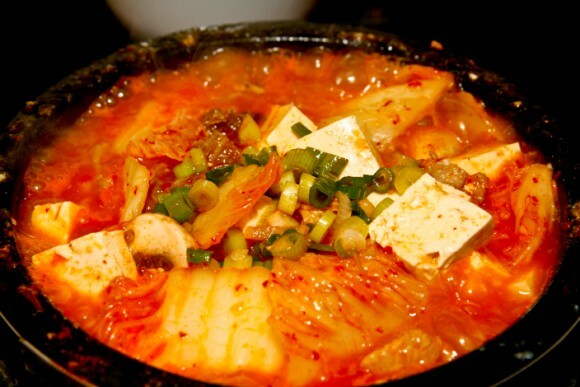 I can use a big, hot bowl of sundubujigae right now! South Korea Diplomatic skills, Political skills, and Politicians need to grow up.